Experts suggest that the air inside our homes and workplaces can be more polluted than outside by air fresheners, bathroom cleaners and bleach and so on. The first step: open your windows. Next step: get some air cleansing plants. Read How To Grow Fresh Air: 50 Houseplants that Purify Your Home or Office by Dr B. C. Wolverton who is a scientist who worked for NASA researching a breathable environment for a lunar habitat. 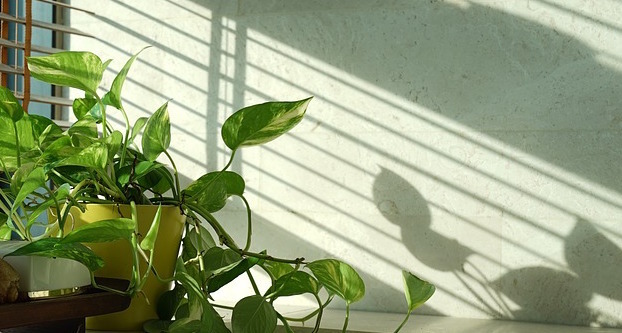 He discovered that houseplants are the best filters of common pollutants where the foliage and roots work together to absorb chemical pollutants from the air. 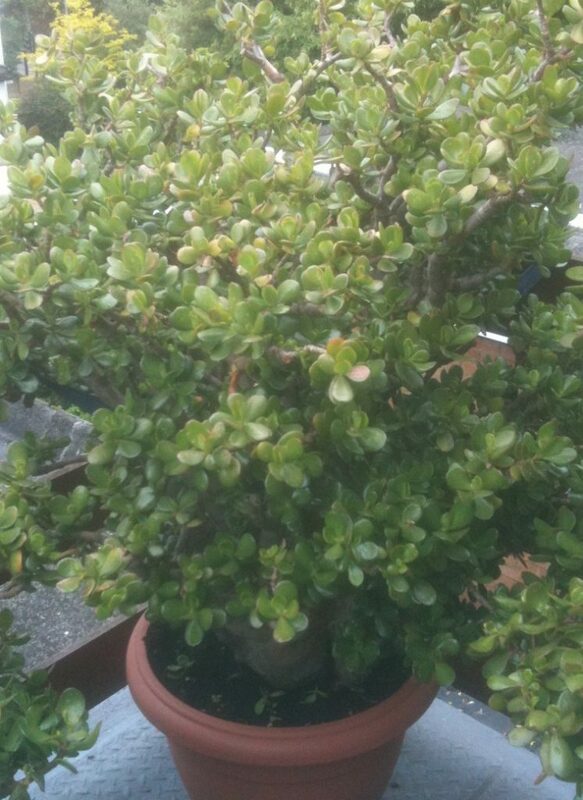 • Money plants (Crassula ovate also commonly known as jade plant, friendship tree, lucky plant, or money tree) – place them in your wealth corner/s or in the south facing part of the house (they like the sun). 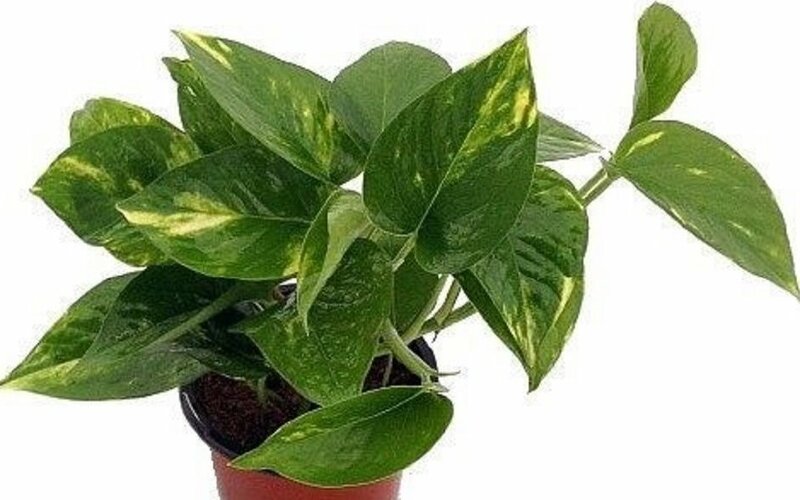 2) Epipremnum aureum (see above on the right) which is more popular with Indian population. Both plants are perceived as money and prosperity attracting plants. 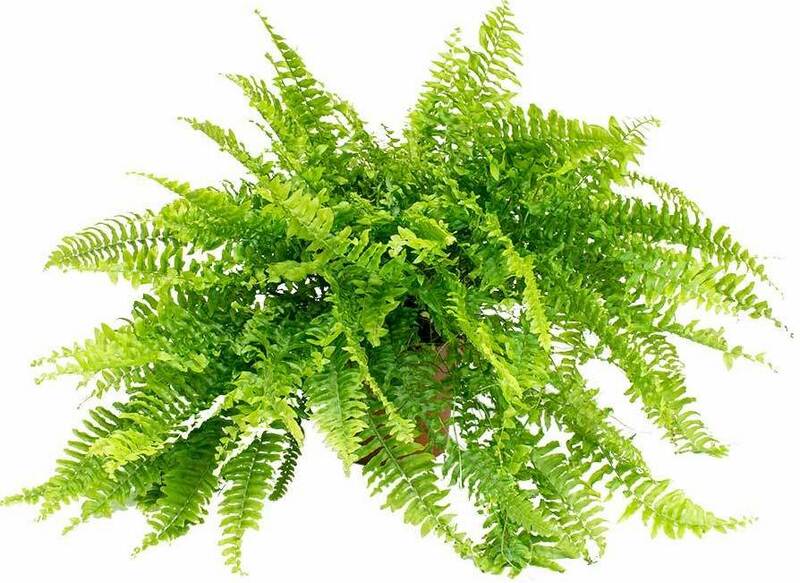 • Ferns – place them everywhere to ionise the air. • Plants are one of the top feng shui interventions to uplift the energy of any environment, for homes and workplaces. For example, if you live in a basement, the upward moving energy will balance the downward moving energy of the basement. • Plants belong to the wood or tree element in the five elements model (which is a cornerstone of Chinese philosophy, medicine and feng shui). Plants represent growth and expansion. So if you want to boost your profits or expand your business or improve your health plants should be one of the first feng shui remedies to use. • Research suggests that the presence of plants in offices boost productivity and creativity. • Plants help to reduce stress. • Plants induce a good mood. • Plants promote creativity: 15% boost in a number of creative ideas (by males) and more original solutions (by females). According to Wikipedia: “The biophilia hypothesis suggests that there is an instinctive bond between human beings and other living systems. Edward O. Wilson introduced and popularized the hypothesis in his book, Biophilia (1984). He defines biophilia as “the urge to affiliate with other forms of life”. In short, biophilia is about a positive and beneficial contact with nature. There is lots of research suggesting that a regular contact with nature is highly beneficial for humans on many levels, from physical to emotional to metal and even spiritual. Short of living in the countryside, these easy to grow houseplants offer an immediate boost to your biophilia effect. 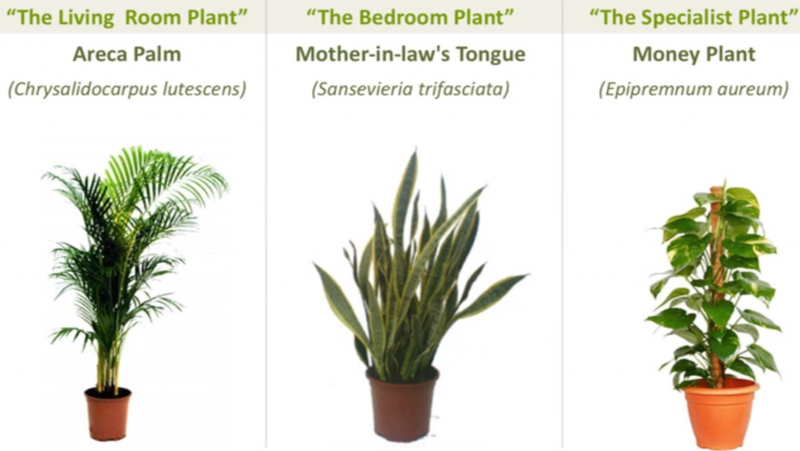 Mother-in-law’s tongue – good for bedrooms because it converts CO2 into oxygen. Some feng shui enthusiasts might object to this spiky plant (feng shui doesn’t like sharp corners and spiky objects) but pointy objects represent fire element (in the five element theory) and a bit of ‘fire’ or passion in your bedroom can do magic for some aspects of your life as well as boost focus and clarity (which are key characteristics of the fire element) – as long as the spiky plant is not too close to where you’re sitting or sleeping. Don’t have green fingers? Don’t have time to look after plants or you don’t have enough space for plants? Air plants don’t require soil, nor water to grow and take up very little space. They require minimum attention and can fit into small places. They only need occasional misting and sunlight. So, no excuses any more, not to benefit from the micro-biophilia effect. • During winter, air plants need warmth, air and light but during summer they can stay outside. • Some air plants need to be placed out of direct sunlight or behind the net curtain. • Most air plants don’t need watering – occasional misting – they’re very good at keeping moisture. 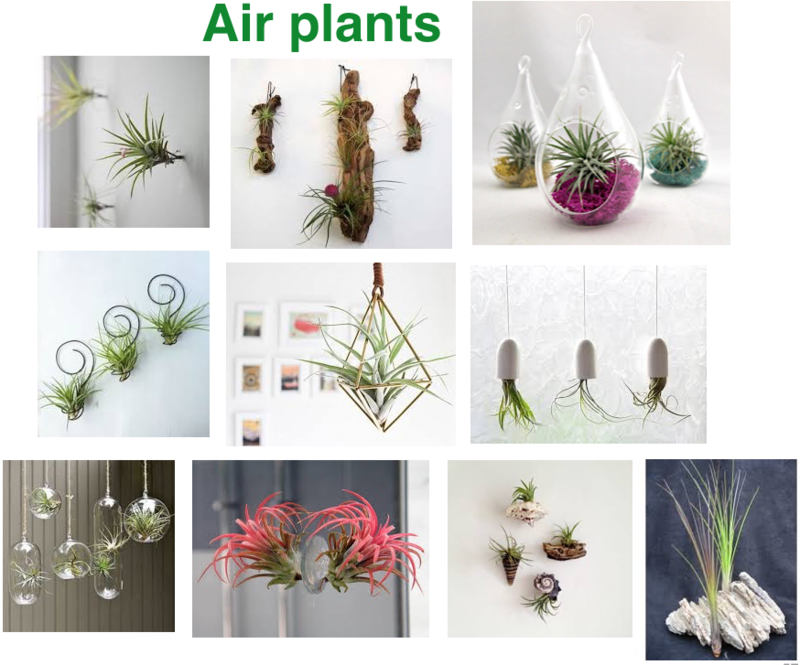 • Air plants can be hung from almost anything such as w wire, or attached to anything such as driftwood, rocks or seashells. Posted in Air cleansing plants and tagged How To Grow Fresh Air: 50 Houseplants that Purify Your Home or Office by Dr B. C. Wolverton.